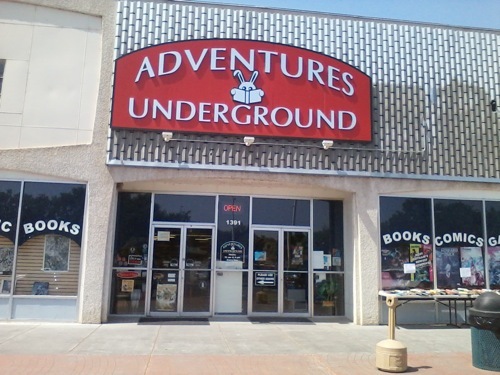 Adventures Underground is a locally owned and operated mom and pop shop located in Richland, Washington. We've got a store dog named Charley and a great staff ready to help you find that perfect something. We receive shipments of new games, comics, books, models and hobby supplies, vinyl records, Japanese treats, and all kinds of toys at least three times a week, and we list about 100 used books each day, so we are updating our website and our 10,000 square-foot shop with cool stuff on a daily basis. If you can't make it in, don't worry. We've got everything listed here on our online database, and we can ship worldwide. Any questions? Just ask!